Investors purchase financial assets such as shares of stock because they desire to increase their wealth, i.e., earn a positive rate of return on their investments. The future, however, is uncertain; investors do not know what rate of return their investments will realize. In finance, we assume that individuals base their decisions on what they expect to happen and their assessment of how likely it is that what actually occurs will be close to what they expected to happen. When evaluating potential investments in financial assets, these two dimensions of the decision making process are called expected return and risk. Sometimes the investors take their decision based on previous data. They make decision by taking previous years Rate of Return into consideration. Here we will discuss how an investor invests on stock based on Rate of Return and Risk. For getting good Rate of Return in the future we need to analyze past data. That is previous risk and return. Investment in stock is risky. Stock markets have been volatile in recent years. For minimizing risk from the investment an investor need to analyze the market. Here an analysis has been made on risk and return of Bank companies. Investors select investments that are consistent with their risk preferences; some consider only low risk investments whereas others welcome high-risk investments. Today, stock investment is the easiest way to earn higher profit within very short time. For this proper information and guideline are needed. The investor need to understand the market. They need to analyze the market before investment. Investor who has no knowledge about market will fail to earn higher profit. Many investor in our country, invest to the stock by seeing others. They don’t feel necessity to analyze the market. For this one time they lose their money. How an investor can best use of his/her money, it is shown here. The Bangladesh stock markets are characterized by a small number of investors with a peculiarity that 60 percent of total demands for securities emanate from retail investors while the rest of the demands come from institutional investors. Such peculiarity is not conducive to the stability of a share market for the reason that the frequency of share transactions by retail investors is high, and most of them invest on a short-term basis due to small capital and a desire to earn quick capital gains. The investor in the stock market will be increase if they get higher return from their stock investment. For higher return the investor need to analyze risk and return of different company. The number of retail investors can be increased through countrywide massive educational programmes on opportunities and risks as well as operations of the stock market. 1. A brief discussion of Chittagong Stock Exchange (CSE) and Risk Management. 2. 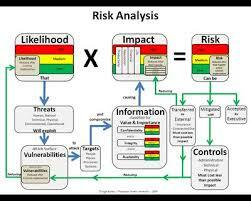 Define Risk, Classification as well as analysis the Process. 3. To know about various returns of the Bank companies. 4. To determine the risky position of the bank companies with the help of statistical methods. 5. To recommend to forward some policy recommendations for the investors. The main sources of data are the secondary sources. CSE Bazar Parikrama, the Company Annual Report, various books, documents, reports and articles relating to the Capital market, Chittagong Stock Exchange and websites of CSE are the major sources of data. The collected data and information have been tabulated, processed and analyzed carefully and report has been prepared in the present form in order to make the study more informative and useful. The Chittagong Stock Exchange (CSE) was incorporated on 1st April 1995 as a limited company by guarantee. After six months on 10th October floor trading was started with open cry out auction system. In the backdrop of a strong need to institute and implement a dynamic, automated and a transparent stock exchange in the country; seventy reputed business personalities under the leadership of Mr. Amir Khosru Mahmud Chowdhruy MP, the founder president established this bourse in the commercial capital of Chittagong. Only 30 securities were listed on the first day trade when market capitalization stood at US $0.2 billion. Now CSE is a completely automated exchange with screen based facility on the countrywide communications network. Chittagong Stock Exchange is a non-profit making organization and all surpluses would be entirely spent for the development of capital market in the country and members would not receive any profit sharing or dividend. The Chittagong Stock Exchange will create an effective efficient and transparent market of international standard to save and invest in Bangladesh in order to facilitate the competent entrepreneurs to raise capital and accelerate industrial growth for overall benefit of the economy. Department of CSE are Compliance Department, Inspection Department, Finance and Administration, Management Support Group, System (IT) Department, Clearing and Settlement, Investors Information Cell, Publication and Library, Compliance Department includes -Market Operation, Listing, Membership, Surveillance. Risk and return are important criteria of making investment decision. Investors irrespective of individual and institutional should make a trade off between risk and return while making both short and long term investment decisions in any area of businesses. They are also required to make a compromise between these two in managing investment in different outlet in practice. Failure to manage between these two gives birth to either higher risk or low profitability. Investors or Portfolio managers are to expose to risk arising out of failure to make a trade off between risk and return. Risk taking is essential to an active market and legitimate risk taking should not be unnecessarily or unduly stifled. Regulators cannot be expected to prevent nor can it prevent absolutely failure of market intermediaries but the risk of failure can be and ought to be minimized. And, the Regulator should seek to mitigate the impact of any failure, if and when it occurs. For this purpose, what is required is effective. Risk Management system, continually monitored and up graded as warranted. The size and complexity of the market will dictate the imperative the kind and the level of sophistication of the system. In security market, every one involved is subject to risk. It not only facilitates trading of shares and securities, but also enables parties in making trade off between risk and return in the process. Parties to the stock market are stock exchange, brokers, dealers, security and exchange commission, investors- individual and institutional-merchant bankers, central depositor system etc. Investors are required either to diversify risk or to hedge risk or to reduce risk through the application of risk management tools and techniques. On the other hand, Regulator-CSE and Stock exchanges-DSE and DSE have to play important role for creating a level playing field in the stock market environment for all categories of investors by imposing either direct administrative and regulatory measures or punitive (financial) measures. This is how; stock market can bring the confidence of investors back in the stock market. The present paper is an attempt to look into risk management in stock marker and implications for stock exchange and SEC. Stock in Bangladesh has been developing over the passage of time with respect to the base, scope, products, members and investors. This has two stock exchanges, a good number of brokers, sub-brokers, listed companies, 1 depository institution, depository participants, 34 merchant barkers, underwriters, Debenture trustees, 16 portfolio managers, Bankers to issues, 2 credit rating agencies, and Venture capitalist firms. Number of investors in the stock market has also been increasing. The market is experiencing increased number of IPO’s in the primary market and record volume of transaction of securities in the organized stock exchanges. Corporate firms are becoming aware of opportunities for raising capital from the stock market. Besides, they are also coming to know the different alternatives to the collection of funds from the Stock market. The opportunity of stock market is attracting huge number institutional investors and individual investors. Apart from this, this has invited other parties-existing and potential to the stock market for exploiting emerging opportunities. This expansion of stock market in Bangladesh poses both risk and opportunities for the parties. Involved Stock market in Bangladesh experienced many ups and downs in the stock market in the past. Investors lost capital to the market and consequently, lost confidence in the stock marker. Under this circumstance, adequate and effective risk management system in the stock market is essential in order to protect the interest of all parties involved and thereby ensuring the integrity of the stock market in Bangladesh. Security and Exchange Commission and stock exchanges have already taken both regulatory and administrative measures for establishing effective risk management system. Stock market in Bangladesh has undergone a sea change in technology in order to make the market modern and thereby giving a pace to the risk management system. Technological change in modus operandi of stock market has brought it at par of international stock market community. This change has also caused an unexpected degree of systematic risk which calls for effective regulatory and administrative measures in place. Transparent, vibrant and efficient stock market is necessary to provide avenue for deployment of savings and also to prop up the primary market, to mobilize savings for investments needed for capital formation and economic growth. A number of risk containment measures have been put in place in order to protect the integrity between the stock market participants and rendering stock market functionally efficient. The trading system has become on-line, fully automated, screen-based. Open outcry is now outmoded and virtually eliminated from the system. It has brought about a revolutionary change in the stock market operations in Bangladesh. It has made the stock market more vibrant and transparent. It has reduced cost, time and risk involved. A large number of participants irrespective of their location, can trade with one another anonymously and simultaneously, providing equal access to every player with orders- big or small, thus improving the depth and liquidity of the marker. The system provide perfect audit trail, facilitating dispute resolution. Central depository system has already been in place for dematerialization of shares of listed corporate firms. Today, the investing public has been saved from the risk of loss in transit or in custody, misplacement or mutilation, theft or destruction, bad delivery or delayed delivery, forgery or duplicity, and also from irritating headaches of intimation of change of address, watching the receipt of bonus or rights shares, etc. At present, it is compulsory on the part of company issuing POs to the investors in the primary market to be a depository. Gone are the days when the seller had to wait for weeks and perhaps a month for settlement. Not long ago, the trading cycle used to be as long as 14 days for specified scrip and even 30 days for other scrip and settlement took another fortnight! Certain development in the intervening period between the trade and settlement could tempt the parties to roll back their promises, leading to defaults, disputes and, in short, settlement risks. This risk has been considerably minimized by introduction of compulsory rolling settlement and contraction of the trading cycle. Rolling statement on T+5 basis, was made compulsory for listed shares/unit certificates belong to A and B categories traded on CSE and DSE. Consequently, it reduced the trading cycle to one day and settlement period to 6 days. Within short span of time, both CSE and DSE have reduced rolling settlement to minimum number of days for all categories of shares traded on them. Quick settlement of transaction has reduced huge risk exposures of both exchange and other parties involved into it. The comprehensive risk management system now in place, which is continually monitored and upgraded, covers capital adequacy, margining, exposure and turnover limits, on-line position monitoring and automatic disablement. Minimum capital requirements have been stipulated at broker level. Exposure limits, in terms of intra day gross turnover and cumulative net outstanding position in securities at any point of time, are linked to certain number of times the base capital and free base capital respectively. There is a margin. The trading and margin positions are monitored on real time basis and any failure to make good the margin requirement will result in automatic disablement of the terminal of the member. Circuit breaker is applied aiming at controlling the movement of share prices and thereby curbing unhealthy volatility. Since unusual and abnormal price fluctuation of the securities may severely affect investor’s interest, CSE as an additional measure of safety, imposes price limit on all categories of securities (‘A’, ‘B’, ‘G’, ‘N’ & ‘Z’) as per the fallowing guidelines A Committee named Share Price Movement Regulating Committee comprised of CSE Secretariat is responsible to regulate the price limit in the market. Both CSE and DSE have a good number of requirements for being enlisted with them. Though there are no significant differences in listing requirements between them. Both are ensuring the enlistment of corporate firms with sound financial and operation background. This ensures quality scrip and thereby reducing the risk of investors. Like other development economy, we should have a central listing authority to enlist of both domestic and foreign companies operating in Bangladesh and thereby ensuring quality scrip. The structural issues have also been addressed. The corporate governance standards of the Stock Exchanges have been sought to be refined, though they themselves are Self Regulatory Organizations. Like charity, the propriety too, should begin at home. In order to eliminate conflict of interest situation and ensure alignment of investor’s interest with the Exchanges, the process of demutualization and corporatisation of stock exchange should have been initiated. The corporate governance standard is a crucial factor for ensuring investors confidence While the Companies Act, 1994 fail to take care of the basic requirement of [he form of corporate governance structure, CSE is concerned with the corporate governance practices on on-going basis. It has come out with a regulation for implementation corporate governance in listed corporate firms. Corporate governance is essentially ethics-based. No amount of legislation or regulation will serve the purpose fully unless there is, an attitudinal change on the part of the management of the corporate. However, Companies ACT 1994 is under the active consideration of government for amendment by including necessary provisions for implementation of corporate governance and coping with changes in accounting, auditing and reporting practices of corporate firms. There has been a paradigm shifts in regulatory environment of stock market. Stock market has been experiencing different changes such as technological changes, operational changes, structural changes etc. These changes render the existing regulations outdated and therefore call for either new regulation or deregulation of existing regulations. Under the dynamic conditions of the market, SEC being a regulatory body of stock market have made a breakthrough by promulgating new rules and regulations and amending the existing one and thereby generated a sound regulatory environment in the stock market. Besides, both prepared necessary by-laws for bringing order in all of their activities. Such a review/amendment would be a continual process, to address the risks of under or over regulation. Codes of Conduct for various intermediaries have also been in place for all the parties involved. Over the years, several initiatives have been taken to improve the operational efficiency and transparency in equity market and to provide investors with the security issues of high quality and to enable entities to raise resources in cost effective manner. The disclosures prescribed for new issues in Bangladesh are comparable, in terms of contents and stringency, to those obtaining in most the advanced markets. Entry norms and track record criteria have also been attuned to ensure the quality of new issues and to protect the investors. The continual disclosure requirements for listed companies are not that much far away from international standards. These relate to publication of annual audited results and semiannual results in prescribed format and time frame, consolidated results, segmental reporting, cash flow, auditors qualifications and their impact quantification, and disclosures of certain transactions. A good number of listed companies have been publishing annual reports through different media including internet. Disclosure information should be made according to international accounting standards and international financial reporting practices so as to make it globally acceptable. The market is dynamic and a change in prices of shares is the beauty of stock market. Certain risks would, therefore, keep on pepping up, in the day to day operations e.g. the behavioral risks -misconduct, manipulation, malpractices, fraud and unfair trade – which would undermine the market integrity, erode into investor confidence and jeopardize the interest of hapless retail investors. These should be the areas of concern for the investors and the Regulator. Normally, one has to take appropriate lessons from the unexpected corporate events. The Bangladeshi investors have been bitten once in the year 1995. To pre-empt any further biting, therefore, the intensity of carefulness must necessarily be high. As a regulator, SEC keeps a constant watch to spot any unusual movement or activities for possible prompt action. This keeps an alert to spot any unusual movements or activities for pre-emptive or punitive action to protect the integrity of the market. I SEC and stock exchanges should conduct investor’s awareness program at various places across the country in order to protect all investors generally, small investor particularly, from the exposition of risk generated by manipulators. This is because, small investors fall a prey of manipulator, All available tools – Regulations, guidelines, surveillance, inspections and investigations are applied to deal with market misconduct and enforce action against market manipulators. II Circuit breaker can also be applied on stock index basis. III. Stock market should introduce financial derivative products in order enable marker participants for hedging their position both short and long. IV. Central listing authority should be established in order brings a harmonization in the listing requirements, or SEC can be empowered for enlistment of corporate firms. V. SEC should establish a central monitoring and surveillance system in order to protect the entire stick market from being risky. VI. SEC should make compulsory on the part of all listed corporate firm to disclose their financial information in accordance with IASs and IFRSs so as make them globally accepted and thereby developing the stock market in Bangladesh. Governments are using it, for example, to set standards for environmental regulation, e.g. “pathway analysis” as practiced by the United States Environmental Protection Agency. Risk means probability of loss or injury. The chance that an outcome other than expected will occur is known as risk. Generally we use the term risk to refer to the chance that some unfavorable event will occur. For example, if you invest in speculative stocks (or really any stock), you are taking a risk in the hope of making an appreciable return. Risk reflects the chance that the actual return on an investment may be very different than the expected return. One way to measure risk is to calculate the variance and standard deviation of the distribution of returns. The capital market risk usually defines the risk involved in the investments. The stark potential of experiencing losses following a fluctuation in security prices is the reason behind the capital market risk. The capital market risk cannot be diversified. The capital market risk can also be referred to as the capital market systematic risk. While an individual is investing on a security, the risk and return cannot be separated. The risk is the integrated part of the investment. The higher the potential of return, the higher is the risk associated with it. The systematic risk is also common to the entire class of liabilities or assets. Depending on the economic changes the value of investments can fall enormously. There may be some other financial events also impacting the investment markets. In order to give a check to the capital market risk, the asset allocation can be fruitful in some cases. Any investment in stocks or bonds comes with the following types of risks. The market risk defines the overall risk involved in the capital market investments. The stock market rises and falls depending on a number of issues. The collective view of the investors to invest in a particular stock or bond plays a significant role in the stock market rise and fall. Even if the company is going through a bad phase, the stock price may go up due to a rising stock market. While conversely, the stock price may fall because the market is not steady even if the investor’s company is doing well. Hence, these are the market risks that the stocks investors generally face. The industry risk affects all the companies of a certain industry. Hence the investors if the investor’s company comes under the obligation of government implement the stocks within an industry fall under the industry risk. The regulatory risk may affect tend new regulations and laws. The business risk may affect the investors if the company goes through some convulsion depending on management, strategies, market share and labor force. The price of a stock fluctuates fundamentally due to the theory of supply and demand. Like all commodities in the market, the price of a stock is directly proportional to the demand. However, here are many factors on the basis of which the demand for a particular stock may increase or decrease. The study has identified some important issues to the price sensitivity of stock by conducting interview of people engaged with stock market. Shortly speaking risk is the variability of return from an investment. Returns on investment may vary from the expectation of the investors. So risk may be defined as the likelihood that the actual return from an investment will be less than the expected return. Depending upon the elements of risk, it may be broadly divided into two categories like systematic risk and unsystematic risk. Some elements of risk that are external to the firm cannot be controlled and effect large numbers of securities are the sources of systematic risk. On the other hand, controllable, internal factors somewhat peculiar to industries and/or firms are referred to as elements of unsystematic risk. The risk associated with macro, pervasive factor such as a national economy is called systematic risk. On the other hand, the micro risks associated with factors particular to a company are called unsystematic or unique risk. Investment manager can do little about systematic risk, although they can do much about unsystematic or unique risk. Pervasive Risk: Some risks are pervasive and applicable to all investments. Purchasing power risk: Purchasing power risk is the uncertainty of purchasing power of the amount to be received. It refers to the impact of inflation or deflation on an investment. Default risk: Another form of systematic risk is default risk. This type of risk arises because firms may eventually go bankrupt. Default risk undiversifiable or uncontrollable as it is systematically related to the business cycle affecting all most all investment even though some default risk may be diversified away in a portfolio of independent investments. Exchange rate risk: The chance that return will be affected by changes in rates of exchange because investments have been made in international markets whose promise to pay dividends, interest, or principal is not denominated in domestic currency risk or exchange risk. Political risk: Also called country risk, political risk is the uncertainty due to the possibility of major political change in the country where an investment is located. The chance that returns will be affected by the policies and stability of nations is termed political risk. Market risk: The price of common stock changes frequently in the process of bought and sold by the investor or speculator in the market place. The price of a stock may fluctuate daily and cyclically even though earnings maintain unchanged and some common stocks have a seasonal pattern. Interest-rate-risk: Interest-rate-risk may be defined as the fluctuation in market price of fixed income securities owing to changes in levels of interest rate. Fixed income securities mean notes and bonds, mortgage-loan and preferred stock paying a definite amount of interest or dividends annually to investors. Liquidity risk: Liquidity risk is the possibility of not being able to sell an asset for fair market value. When an investor acquires an asset, he expects that the investment will mature or hat it could be sold to someone else. Default risk: Another risk of systematic risk is default risk. This type of risk arises because of firms may eventually go bankrupt. Default risk is undiversifiable or uncontrollable as it is systematically related to the business cycle affecting almost all investment even though some default risk may be diversified away in a portfolio of independent investments. Finally, we may draw conclusion as- we can divide total risk into two components viz., a general or market component and a specific or issuer component. An investor can construct a diversified portfolio and eliminate part of the total risk called diversifiable or nonmarket risk. The systematic risk known as nondiversifiable or market risk is directly associated with overall movements in the general market or economy. Investment includes the various methods and steps adopted by the prudent investors during the development of their funds in order to earn profit and to minimize risks involved therein. To set goals and objectives: The first step in the investment process is to identify the goals and objectives f the investors. A systematic investment decision requires the formulation of a set of long-term or short-term goals which can serve as a guide for managerial decisions. This step also includes the determination of the quantum of investment in different shares and debentures quoted in the capital market. i) To determine appropriate risk level: The second step in the investment process is to determine the amount of risk that an investor is willing to assume to achieve the investment objective. This step will largely determine the mix of assets to be held in the investment portfolio and attempt will be made to quantify the risk and measurement of the same by applying appropriate tools. ii) To estimate the risk and return: The third step in the investment process is to estimate the risk and return for the investors to take their decisions, because risk and return go hand in hand. Investors must balance risk with return. iii) To form optimal portfolio: The fourth step in the investment process is to construct optimal portfolio which includes estimate of risk and return for individual securities and to maintain relationship between securities, portfolios and the like. An investment portfolio is the list of investment securities both common stock and bonds that an investor owns. iv) To make the analysis of the performance: The fifth and the last step in the investment process is to analyze the performance of the vendor company’s financial statement in order to take investment decision. The investor should monitor the results of their portfolios for determining the goals and objectives and review the performance of the portfolios. This may provide some insights which will improve their security analysis and portfolio selection techniques. Firstly, an investor must be aware of the risks associated with the investment. Secondly, an investor must be aware that the investment requires the availability of surplus fund now or in future. Thirdly, an investor must posses knowledge of individual securities that are available. Fourthly, an investor must have a method of analysis that will allow as to make an intelligent selection of securities. Fifthly, an investor must be aware of the sources of information that will allow him to make a complete and intelligent analysis of an industry. Sixthly, an investor must have sufficient knowledge of buying and selling of shares and other securities in the stock market. Every investor wants higher return from his investment. Today in our country, Bank companies provide different services. The people in our country don’t want to take risk. So they don’t want to invest money in stock Market. They feel safe to keep their money in the Bank. But an investor can easily get more return from stock investment which is higher than Bank interest rate. Only thing s/he needs knowledge about stock market. If an investor who has knowledge about stock market analyzes the market before investment s/he will make profit easily. There are some moderate performing companies in the Chittagong Stock Exchange and some of them are not profitable enough. My study will help the investors who want higher profit from banking sector. This paper will give them idea where they should invest. This paper will help both risk taker and risk adverse investor. In our capital market some investor are irrational, they don’t know how to determine the value of stocks, most of them just made their investment based on rumor. It is also observed that some insider traders intentionally manipulate markets as consequently general investor suffered loss. As for this draw backing, govt. should increase its monitoring activities to protect general investors and to keep development progress of the capital market. It is true that shares investment in our country is very risky because Market inefficient. Stock price manipulation in 1996 seriously damaged the image of this emerging stock market and destroyed the confidence of the small investors. But the share investment will be more profitable by right decision. For this the investor need to analyze the market. Any one can earn higher profit from stock investment within very short time. So the people should invest in stock. In fine, risk is the chance of an unwanted outcome. While one can learn from the history of financial markets and try to avoid them, new risks are found all the time. The goal of risk analysis is to understand as many risks as possible so that investors can minimize unanticipated and uncompensated risks. Developing a culture of risk analysis is just as important as quantitative analysis in the quest for managing risk. We can choose to invest in any sector in the stock market on the basis of categories are highest return, lowest coefficient of variation(CV), Beta measures. We know that Companies with beta greater than 1 (Bi>1), the expected rate of return would become higher than the market return or Companies with beta lower than 1 (Bi<1), the expected rate of return would become lower than the market return (or average return) or Companies with positive (+) beta greater than higher expected return and vice-versa.